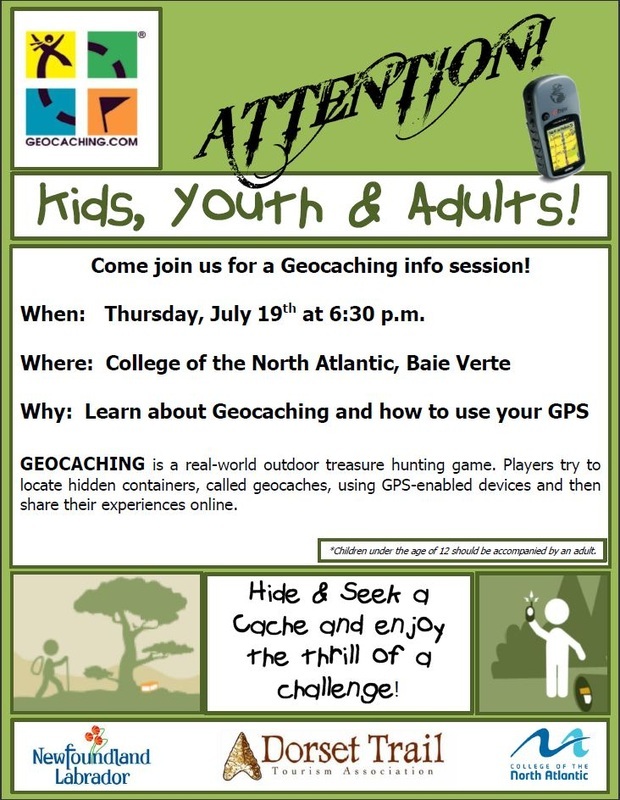 Geocaching Information Session will be held at the College of the North Atlantic, Baie Verte Campus on Thursday, July 19th at 6:30 p.m. Come out and learn all about Geocaching and how this great sport is catching on with everyone young and old! Do you want the Baie Verte Peninsula to be the "Place to Visit"? Are you aware of a special location in your area that you wish everyone knew about? Do you own a digital or video camera and would like to share those places with us and the world? Working to promote the tourism industry on the Baie Verte Peninsula.